Feeling overwhelmed? Not sure where to turn for help? 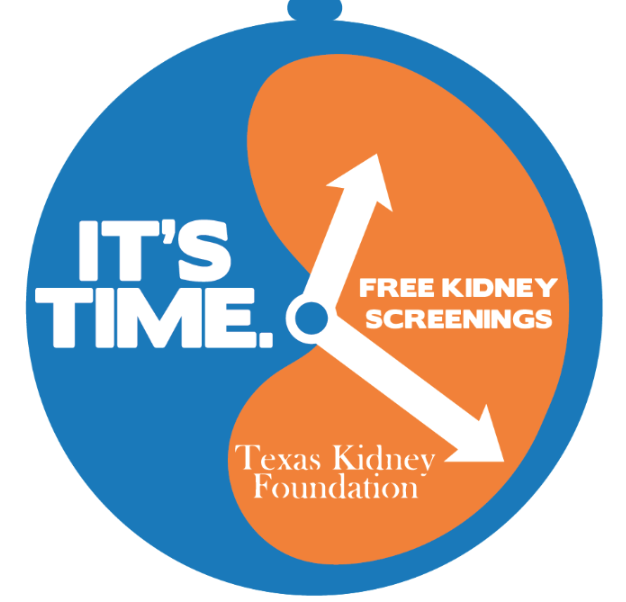 We know it can be overwhelming finding out you or a loved one has kidney disease. But you are not alone. There is a large network of resources out there that many people don’t realize even exists. For this reason, we have compiled a collection of outside resources below that will help you or a loved one with furthering education, finding assistance, or becoming a donor. We hope you can use these resources to build a network of support to assist you through your journey. MEDIGAP INSURANCE – Offered to dialysis patients under 65. FINDING HELP IN TEXAS – A program of the Texas Health and Human Services Commission. NATIONAL LIVING DONOR ASSISTANCE CENTER – Program to reduce the financial disincentives to living organ donation. TRANSPLANTS FOR CHILDREN – Assists young organ and tissue transplant recipients and their families. NETWORK OF CARE – Search this comprehensive directory to find services related to aging, disabilities, caregiving, Alzheimer’s, and more. HELP FOR LOW-INCOME TEXANS – Low-income households may qualify for assistance with home energy bills, weatherization and more. STATE HEALTH INSURANCE ASSISTANCE PROGRAM – Offers one-on-one counseling and assistance to people with Medicare and their families regarding eligibility and coverage. METHODIST HEALTHCARE MINISTRIES – Three primary care clinics that address the medical, dental, and social service needs of people who cannot afford health insurance and who do not qualify for federal or state programs that would provide such care. EL BARI COMMUNITY HEALTH CENTER – Serves patients who have no form of health insurance and meet income requirements based on the Federal Poverty Level. CARELINK Financial assistance to access quality healthcare services through University Health System. DIALYSIS FACILITY COMPAREFind and compare information about the services and quality of care provided at dialysis facilities in any state. KIDNEY QUESTIONS ANSWERED Find answers to commonly asked questions about kidney disease. NATIONAL KIDNEY DISEASE EDUCATION PROGRAMTools to help provide kidney disease education. KIDNEY DISEASE AND DIETInformation from the Academy of Nutrition and Dietetics on Kidney Disease. AMERICAN ASSOCIATION OF KIDNEY PATIENTSA list of support groups in Texas. LOVE KIDNEYS CAMPAIGNDesigned to increase awareness among at-risk patients and the medical community about the importance of early diagnosis and treatment of kidney disease. END STAGE RENAL DISEASE NETWORK OF TEXASESRD Networks receive and investigate patient grievances relating to dialysis care. They usually attempt to mediate any disputes brought to their attention. TEXAS ADULT DAY CARE FACILITIESAdult day care includes day activity and health services including skilled nursing and personal care services, health education and physical rehabilitative services. DONATE LIFE TEXAS – Register here to be an organ donor. DONOR REGISTRATION INFORMATION – More information about registering to be an organ donor. TEXAS ORGAN SHARING ALLIANCE – An independent, federally-designated Organ Procurement Organizations (OPOs) serving central and south Texas. LIVING BANK – Raising awareness of the critical need for organ transplant donors through public education and advocating for donors and their families. TOP 10 MYTHS ABOUT ORGAN DONATION – Common myths about organ donation as well as real stories and more information. LIFE GIFT – An independent, federally-designated Organ Procurement Organizations (OPOs) serving Houston and counties in the southwest areas of Texas. UNITED NETWORK FOR ORGAN SHARING – United Network for Organ Sharing (UNOS) is the private, non-profit organization that manages the nation’s organ transplant system under contract with the federal government. SOUTHWEST TRANSPLANT ALLIANCE – An independent, federally-designated Organ Procurement Organizations (OPOs) serving Dallas/Ft. Worth and the north Texas areas.